I can't believe it's September! This past weekend I thoroughly enjoyed my long weekend with sailing & a cookout. I am sad to see the summer weather slowly fade but while it is still hear I will enjoy it. I wore this outfit out sailing on Saturday in Annapolis. The day started out overcast but the sun quickly came out and we were able to enjoy the water and the breeze. This outfit is so pretty. I just love the necklace. The close-up picture at the end really made me realize just how fabulous it is. Loving this outfit!! 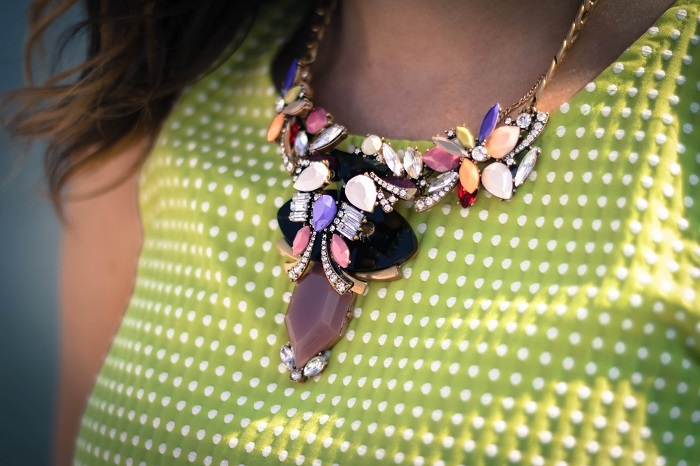 That statement necklace is beyond gorgeous!